"PERCEPTIONS VS. 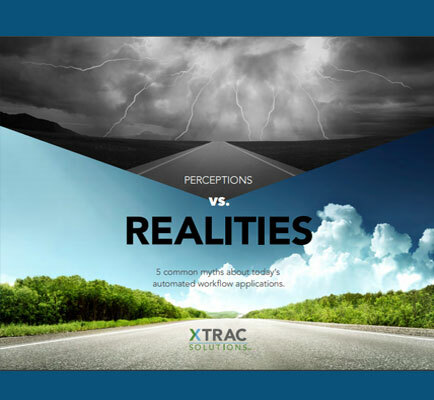 REALITIES: Myths about automated workflow applications"
Today, workflow automation solutions tailored to financial services are available that allow organizations to easily adopt best practices and improve productivity while continuing to hold on to their unique culture and identity. This whitepaper exposes the five common misperceptions about automated workflow applications and accentuates the reasons why financial services executives should take action sooner rather than later. How can automated workflow applications help your firm? What are the ways to ensure a successful and smooth automated workflow implementation? What are the several ongoing direct and indirect costs of continuing to operate in a manual or semi-manual operating environment? How can financial services firms realize their return on investment (ROI) relatively quickly? Automotive is the use of the various controlled system for operation of technology or machine in various businesses and industries. Automotive saves increases productivity by eliminating the limitations of human labours. Increased in speed, accuracy, durability, work around the clock are advantages of automotive.